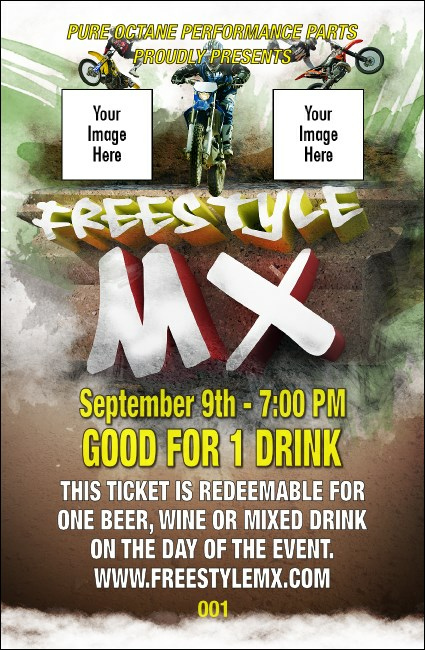 Show your audience your best trick when you give them Freestyle MX Drink Tickets at your next extreme event. With room to upload two of your own images on an action-packed background that shows three motocross riders gunning their way through the course, these tickets will help kick your event into high gear. TicketRiver.com.au can help you score the most points!